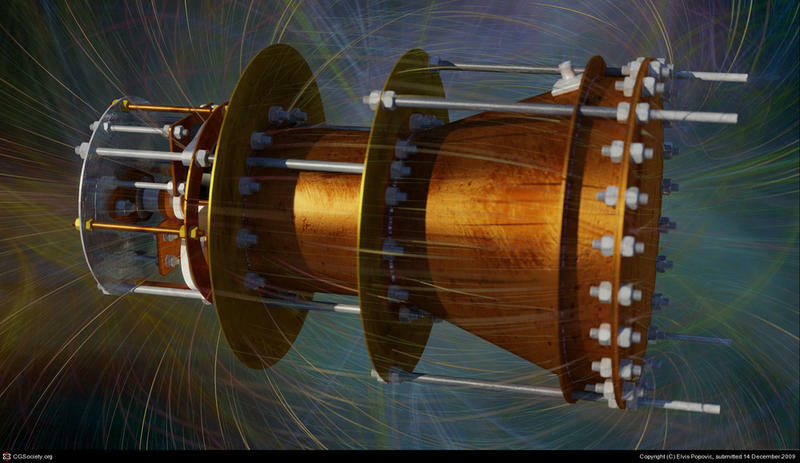 People have been flipping their lids over a supposed "impossible engine" design, or EmDrive. Invented by British scientist Roger Shawyer, the engine is supposedly capable of generating thrust without any sort of propellant. Two independent tests have already confirmed different models work, and folks in the scientific community are cautiously becoming hopeful this technology could change space travel forever. The problem: it goes against a law of physics known as conservation of momentum, which states that every action must have an equal and opposite reaction. The engine works by "bouncing microwaves around in a closed container;" these microwaves are generated using electricity provided by solar energy. The method, in theory, means that the impossible engine can go on forever unless there's some sort of hardware failure. Current technology relies on fuel as a propellant, but spacecrafts are only capable of carrying so much of it at any given time. NASA has ideas on how to get around this, but this newest engine would obviously negate any so-called galactic gas stations. Nobody has been able to fully explain why the engine works—it just does. First a group of Chinese researchers successfully demonstrated Shawyer's EmDrive design, which was followed up by a NASA scientist named Guido Fetta, who showed that his own propellant-less engine was capable of generating thrust—between 30 and 50 micronewtons, which is about 0.00003 to 0.00005-percent of you pressing the home button on your smartphone, the Independent said; the Chinese researchers, meanwhile, claim they were about to produce 720 millinewton. NASA is currently presenting the results as objectively as possible, though there are still many skeptics. Via Jalopnik, physicist Stephen Granade said the impossible engine is likely just that: impossible. He equated it to trying to make your car go faster by pushing down on your steering wheel; it isn't going to happen. You can check out his full explanation there, which talks about the Cannae drive NASA tested, along with the EmDrive dreamed up by Shawyer. While the separate tests confirm such an engine might be possible, they could be wrong. Still, the mere thought of something that was once considering impossible is now possible should get a lot of people excited. Imagine traveling to a distant planet using this impossible design. It could open up some very real possibilities for humans to one day travel much father than we ever thought possible.